We have all had that feeling "What should I Blog about?" and racking your brain for ideas, I know I have had a few times when I have needed a bit of inspiration and ideas so I thought I would do a post to help you all out! There are loads of tags out there, you could even come up with one yourself! You could do random ones or ones related to the contents of your blog, these are fun ways to keep bloggers block at bay! In winter you could do winter products to keep your skin healthy or fashion related post to the season, you could use a collage to show the images and you never know you may even inspire others with your looks! Weather this be "Top 5's" or "Top 10…" it never hurts to sharing your latest product loves, there is a long list of tops you could do Mascara's, Blushers, gloves anything you want the possibilities are endless! If there is one thing that I love to read on a blog it’s a life post, it lets your reader let you know more about yourselves and what you have been up too! If you have an interest in photography this one could be for you, you can make a collage of all your photos you have taken, you could even set yourself a challenge by using different techniques or taking a certain image each week! This is such a great idea if you have bloggers block we all know what we want – or at least I know! You could do different sections so Beauty, general and fashion products! I hope this has helped if you have had or are struggling with bloggers block! What do you do if you have bloggers block? Let me know in a comment below! Thank you :) Hope it helps! I'm the same! Hope this post helped! 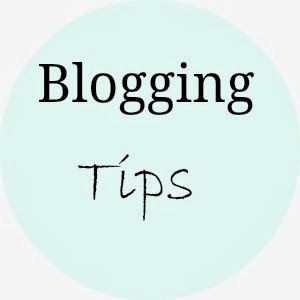 If you have any requests for any blogging tips let me know and I will do my best to help! Love this post, it'll help me out when I next have bloggers block.